Do you want to find easier way to post your advertisements to eBay, Backpage etc? Let Autoxloo assist you. With our Make-A-Template™ it becomes ridiculously easy. Software that helps to make a template in a quick way. User-friendly navigation, elaborate layout, easy checkout, functionality – that’s all about Make-A-Template™. You don’t have to be an experienced developer to use Autoxloo’s bunch of tools. 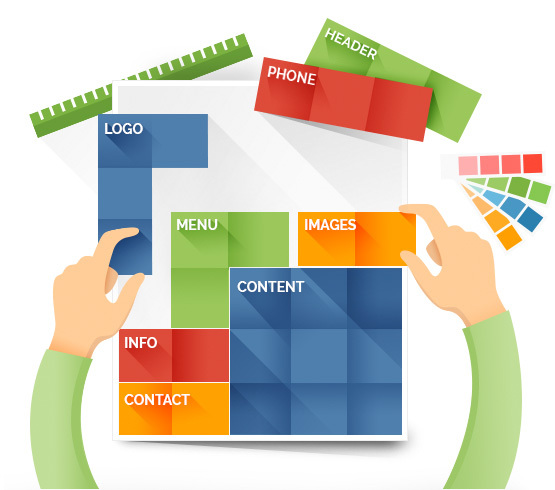 We simplify the creation process providing you with high quality templates. All you need to do is add your information, we will do the rest. You can customize templates any way you like. You’ll be able to add your logo, set your colors, styles and fonts. Insert stand-alone images and videos or add them from your Vehicle Details page. Easily make changes to the template because of module’s flexibility. It functions as a Drag and Drop editor. It is possible to resize, rotate and arrange items within the template. You can also preview your site to make sure that it looks the way that you want it to. You will now be able to browse through your site as if it is online. Moreover, you can use Make-A-Template™ not only for posting goals, but also for creating your own e-Magazines. Virtual magazines that customers can download or subscribe to. e-Magazines behave like a normal hard copy of traditional brochures just on the computer screen. Pages can be zoomed and flipped over because of realistic 3D page turning. Top quality solution for a quick, easy and affordable software. Don’t miss it out.